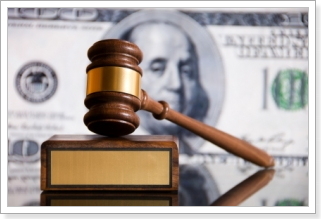 If you have pending lawsuit or settled lawsuit and need a cash advance against your lawsuit settlement, we can offer you an insurance settlement loan in 24 hours. 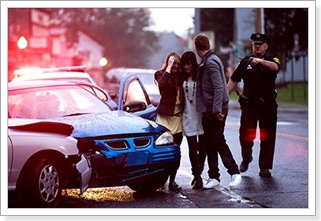 Nirvana Legal Solutions is the smart choice for accident victims searching for fast insurance settlement loans. We offer pre settlement lawsuit loans and post settlement lawsuit loans to personal injury lawsuit plaintiffs all across the United States. If you have an active accident claim or settled accident claim, Nirvana Legal can offer you an insurance settlement cash advance on your claim from $1,000 to $500,000 in just 24 hours. 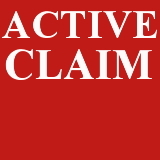 Insurance accident claims and personal injury lawsuits can take months, even years to settle or win. If you are expecting an insurance settlement or a settlement on your lawsuit, and need cash now, Nirvana Legal Solution can provide you with a loan against your settlement in the form of an insurance settlement loans so you can cover your ordinary living expenses and financial obligations while your wait for your settlement cash. You can use the insurance settlement loans pay your rent, medical bills, child care expenses, insurance, emergencies, car payment, mortgage, tuition, surgery, or other living expenses while you wait for your lawsuit or insurance claim to settle with the insurance company or for your day in court. It's your claim and your money, use the insurance settlement loans for anything you need! Accidents can by physically, emotionally, and financially devastating for lawsuit plaintiffs and injured accident victims. It is not uncommon for personal injury lawsuit plaintiffs to experience financial problems and money issues after being hurt in a serious accident. Many are unable to work and pay their bills and other financial responsibilities, an often end up falling deep into debt. Apply now if you have been injured in an accident, have a pending or settled claim or lawsuit, and need a cash advance on your insurance settlement. We provide insurance settlement loans for most accidents. We offer loans against insurance settlements for most types of accidents, lawsuits, and insurance claims. We offer auto accident insurance settlement loans, car accident insurance settlement loans, products liability insurance settlement loans, tractor trailer accident insurance settlement loans, bus accident insurance settlement loans, construction accident insurance settlement loans, and pedestrian knock down accident insurance settlement loans. Our insurance settlement loans gives personal injury lawsuit plaintiffs and insurance claimants the financial strength to reject the pressure to settle their claims prematurely for pennies on the dollar. The insurance company will delay and deny your personal injury claim for as long as they can. The insurance company does this to try and pressure you into settling your insurance claim for a low settlement amount. 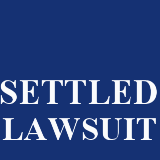 Don't let the insurance companies force you into taking a settlement offer that is far less than your lawsuit is really worth. Loans against lawsuit settlements have helped save thousand of lawsuit plaintiffs and potential plaintiffs for low ball insurance settlement. 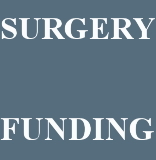 We offer lawsuit cash advance, accident loans, lawsuit loans, car accident loans, litigation funding, accident cash advance, surgery lawsuit funding, auto accident lawsuit loans, and lawsuit advance funding. We are national settlement loan company offering settlement cash advances in more than 45 states. We specialize in insurance settlement loans New York, insurance settlement loans Pennsylvania, insurance settlement loans New Jersey, insurance settlement loans Florida, insurance settlement loans Georgia, insurance settlement loan Texas, insurance settlement loans California, and insurance settlement loans Washington. 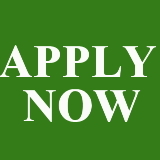 Nirvana Legal makes getting a loans against insurance settlement fast and easy! To get approved for a settlement loan on your insurance claim or lawsuit, all you have to do is apply online or call us toll-free at 1-888-715-8701. Apply now to get approved for an insurance settlement cash advance from Nirvana Legal Solutions in just 24 hours. Nirvana Legal Funding offers auto accident loans, car accident lawsuit funding, lawsuit cash advance, auto accident loans, insurance settlement loans, tractor trailer lawsuit funding, insurance settlement loans, pre settlement loans, loans against insurance settlements, borrow money against lawsuit, auto accident loans, accident lawsuit loans, money for lawsuit, pre settlement funding, injury claim cash advance, and lawsuit funding.